CINCINNATI -- The mother of the 3-year-old boy who entered the Cincinnati zoo's gorilla enclosure will not face charges in the death of 17-year-old silverback gorilla Harambe, Hamilton County Prosecutor Joe Deters said in a news conference Monday. "If you don't believe a 3-year-old can scamper away that quickly, you've never had children," Deters said. The prosecutor said the mother did not act in a way that endangered the child prior to or after he climbed over a barrier and fell into the moat surrounding the gorilla enclosure at the Cincinnati Zoo & Botanical Gardens. "If she was in the bathroom smoking crack when he got in there, that would be a different story," Deters said. "A child scampering off is not foreseeable." Deters said four witnesses described a very attentive mother who simply turned her back. Deters said Hamilton County Jobs and Family Services investigated the family's home and found nothing concerning. He said he and the social workers "were impressed." "I’ve never seen the attention given to a child endangering case in my life like this," he said. 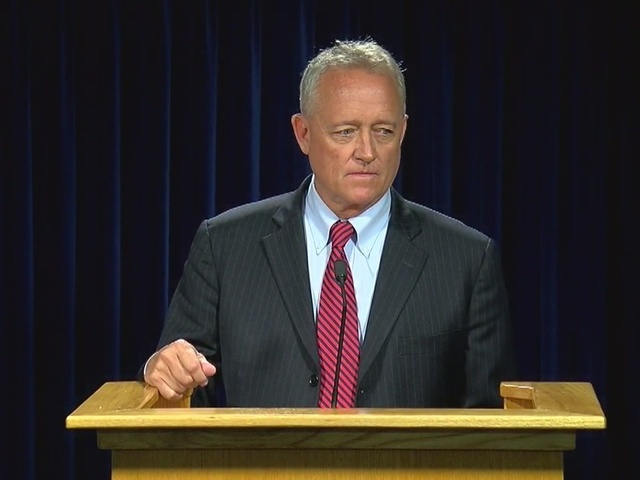 Deters also clarified that the mother had four children with her at the zoo that day. The father of the children was not at the zoo that day; another adult female -- a friend of the mother's -- was with her at the zoo. "We extend thanks to all of those who have been praying for us and who have supported us through this trying ordeal," the family said in a statement after Deters' announcement. "This is one more step in allowing us to put this tragic episode behind us."